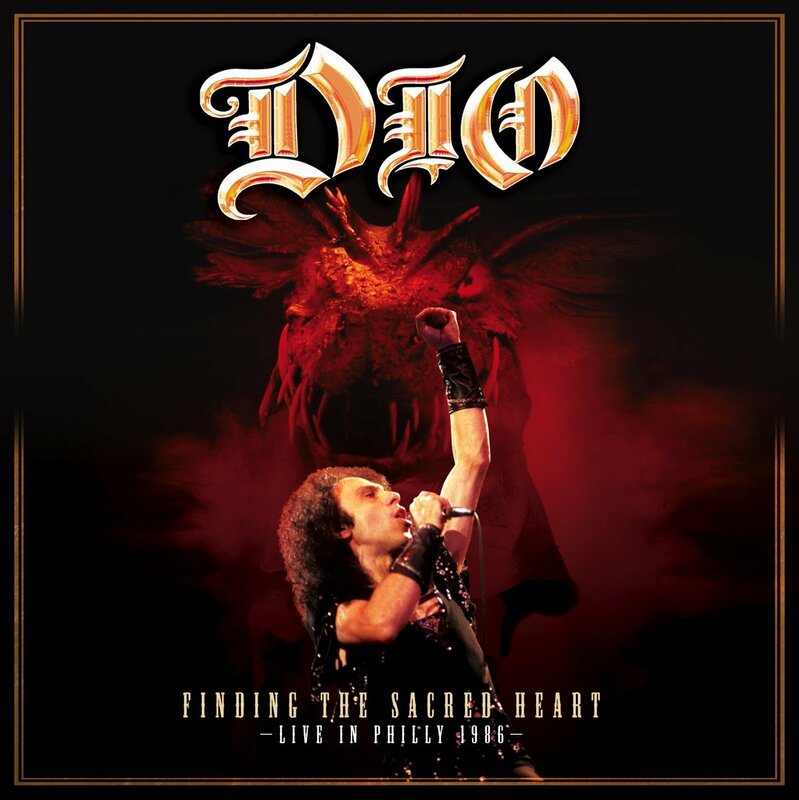 Album Review: Dio, "Finding The Sacred Heart - Live In Philly 1986"
In the wake of Black Sabbath 13, let’s remember one of the men who kept the beast alive. We’ve had a couple weeks now with the return of Black Sabbath, and Black Sabbath with Ozzy Osbourne as front man; enough time to get past the nostalgic glaze that surely must come over the audience wishing it had come sooner. That may well be as God intended, but I will not have the bashing that has fallen on those vocalists that hit the mic in the in-between years. They kept the brand alive for all the years Ozzy was too busy doing his own thing. Give them that much credit, and some of those vocalists brought a considerable amount of glory to the institution in spite of the prejudices of the pro-Ozzy camp. Of course I’m talking about Ronnie James Dio. I’ll go one better and make even more people angry. Dio is a better vocalist than Ozzy. That’s not a knock against Osbourne necessarily. His delivery is actually more blues-rock based, that agitated wail that occasionally punctuates very straightforward singing is not part of the usual repertoire. But it was perfect for the dark, psychedelic dirges of those early Sabbath sides. By the time of the Eighties, metal had changed. The ante was upped considerably, and part of that occurred because of Dio’s discs with Rainbow, and if Osbourne was permanently off over the mountain, then there was no reason not to integrate RJD into the fold. We got Heaven and Hell and Mob Rules (later Dehumanizer and The Devil You Know) and Sabbath actually thrived. Then Dio formed his own band and continued to be a force in metal, both with Holy Diver and with The Last In Line. So Dio: Finding The Sacred Heart Live In Philly 1986, arriving from Eagle Records on CD, DVD, and on vinyl, is strangely appearing at the right place and the right time. No, it is not to knock Ozzy off his dark throne from the gallery, but to remind one and all that the guy who initially supplanted him was no slouch. The DVD will obviously have more material than this 2-record set, but there is an appropriateness to hearing this concert on vinyl that is hard to explain. I suppose that it is because we as pimply-faced teens with greasy hair heard most of these songs that way and the verisimilitude just makes the whole thing come together (and let’s be candid: some of these metal concert props and costumes don’t age well. Cough…Manowar…cough.) But you’re getting Sabbath songs, Rainbow songs, Dio songs and, with that, a rather fierce running-through of “Rainbow In The Dark,” so that right there gets you a boatload of value. I found the three separate instances for soloing (drum, keyboard, and guitar as provided by the band’s newest member at the time, Craig Goldy) a bit much for this set. I’m sure it would be a lot more natural to the film version than this soundtrack, as I wanted more Ronnie James and these tracks felt too diversionary, but this is completely in keeping with his personality. It is widely known that Dio was one of the nicest guys in the rock field, never mind the smaller galaxy of the metal field, and I can just imagine his widow Wendy saying that the band had to have their props too. This was Dio the band, not just Dio the man. I wouldn’t suggest this release to those who aren’t fans. I suspect they won’t get what the appeal is. Metal is much heavier now, darker and dripping with real evil, whereas Ronnie James’ dungeons, dragons and Beowulf visions were like medieval minstrel ballads, a step removed so you could enjoy the role-playing rather than being dragged down into the abyss. The scene needed a Dio, and without him here there is a gaping hole. But for those who considered him more than a temporary Ozzy for Tony Iommi, Dio: Finding The Sacred Heart is a solid reminder of what he brought with him to all his work relationships. Throw ‘em up, people.